THIS WEEK, THE E PLURIBUS UNUM TEAM HAD THE PRIVILEGE TO VISIT LOUISVILLE, KENTUCKY. Earlier this spring, we visited cities in towns in eastern Kentucky, from Pikeville and Whitesburg to Hazard and London. Last week, we visited Kentucky again, this time making a stop in its most populous city, Louisville, home of bourbon and the Kentucky Derby. Just across the Ohio River from the state of Indiana, Louisville shares a mix of southern and midwestern identity. As a border state, Kentucky served an important role during the Civil War and it was a stronghold of Union forces during the war. Following the war, Confederate veterans held power in Louisville. And so like many areas in the south, Louisville has a long history of racial segregation and inequity. As the home of Muhammad Ali and Thomas Merton, Louisville also has a great legacy in peace, racial tolerance, and social equality. 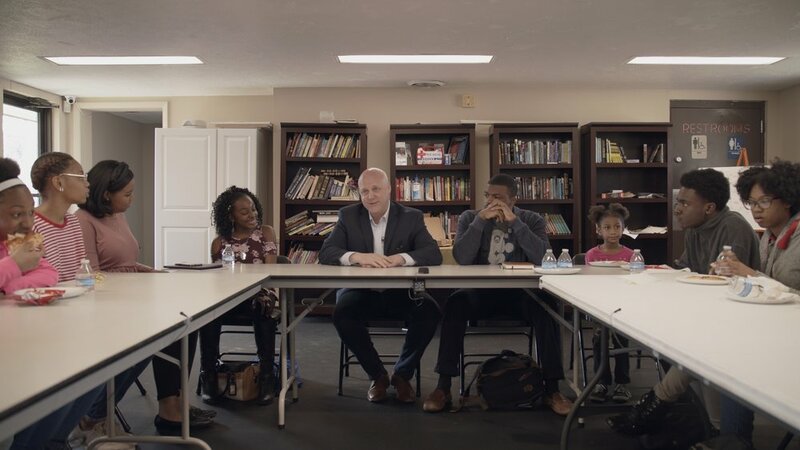 Louisville is a growing and quickly diversifying region, and we came across many groups who are working on instilling compassion in all work and the embrace of the city’s diversity. In 2011, Mayor Greg Fischer committed to the Compassionate Louisville campaign, vowing to make compassion integral in every aspect of the city moving forward. We visited with Interfaith Paths to Peace to learn about the important work they’re doing to promote peace, human rights, and justice through enhancing interfaith dialogue. We talked about the contributions of the immigrant community to one Kentucky’s most important industries on the backside of the track at Churchill Downs at Backside Learning Center where programming is focused on adult education and after school and summer services for youth. We visited the Muhammad Ali Center to learn about their work. And we heard directly from young students on the westside about the challenges they face day in and day out at AMPED. It’s really something special to hear our kids say so bluntly what adults tiptoe around. One student said, “Talent is distributed equally (among races) but opportunity is not.” That’s exactly what the E Pluribus Unum team is committed to doing long term-- making sure that there is equity in opportunity. Like in Richmond, there was also a public component with the city’s mayor. EPU Founder Mitch Landrieu joined Mayor Fischer and Rev. Dr. Alton B. Pollard III, the new president of the Louisville Presbyterian Theological Seminary, to discuss the history of racism that's shaped our society and the ways our country can reckon with its past. Over 250 Louisvillians came out to be part of the discussion. 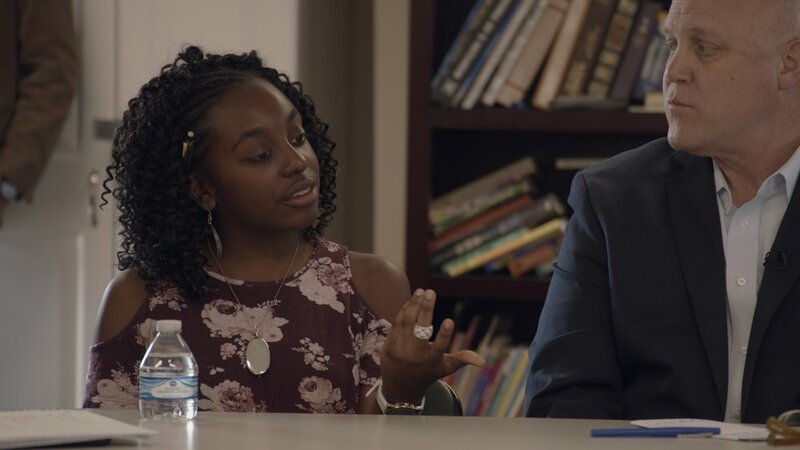 The conversation was a part of Lean Into Louisville, a metro-wide program that highlights conversations and presentations that explore and confront the history and legacy of discrimination and inequality. Since September of 2018, we have had the privilege of meeting with hundreds of elected officials, organizations, and community members who are actively working to bring about positive change and economic development from Texas to North Carolina to Virginia and everywhere in between. Stay tuned in the coming months for our next steps.